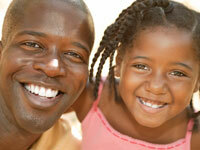 Montclair Dental Care is a trusted Oakland area NTI-tss plus provider. Our highly-trained team fit you with a custom bite guard designed to relieve headaches and migraines caused by jaw clenching during sleep. For comfortable dental hygiene treatment in the Oakland, California area, Dr. Kenneth Childers is known for having a gentle touch. The friendly team at Montclair Dental Care provides teeth cleaning for a whiter smile. If you're looking for denture repair in the Oakland area, our team at Montclair Dental Care offers friendly service. Dr. Childers understands the importance of reliable dentures that fit properly. 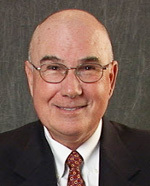 Experienced Oakland area root canal dentist Kenneth Childers, D.D.S. will provide you with excellent care. We'll make sure that you're comfortable during and after your procedure. Trusted Oakland area TMJ/TMD dentist Dr. Kenneth Childers can help you live pain-free again. If your life is disrupted by head, neck or facial pain, we can evaluate you for temporomandibular joint disorder, and provide treatment for the underlying jaw and joint problems. Let our team of highly skilled professionals provide treatment that brings relief from the pain. There's no need to suffer any longer. These days, computers are really changing the way we live and work. You've probably experienced their impact in your own home. And believe me, technology is also helping raise our dental practice to a new level of safety, accuracy, and comfort. Keeping up with all these advances is a full-time occupation that's as important as my work at chairside. One of the most promising of these breakthroughs is an improvement on the oldest evaluation technology we have - dental x-rays. For close to a century, dentists have used x-rays to detect cavities and damage invisible to the eye. We've long been aware of the drawbacks. Though x-ray radiation is slight, many patients find it a cause for concern. And reading the negative requires a skilled, professional eye-which means my patients can't see what I see. That's why my office uses a Computed Dental Radiography System as an x-ray alternative. A computer enhances a "photo" of your teeth and shows it instantly on a screen. This new system requires 90% less radiation than the old film x-rays, and can magnify the image up to 300 times. It's as easy to read as a snapshot. When I discuss something I see in your mouth, you'll be able to view it right along with me. This is an exciting time to be a dentist. We're re-thinking and refining virtually every aspect of our dental practice, and I wanted to pass a bit of it along to you. Every science has its beginnings in myth and folklore. Early dental practices, in particular, are deeply tied to the mysticism surrounding the teeth and tongue. Because the mouth is the center of speech and nourishment, diverse cultures treat dental events in their lives with respect. There is a universal human belief that teeth confer power. These remedies and practices were intended to cultivate that power-by keeping teeth for a lifetime. The same spirit-much refined-motivates modern dentistry. For relief, boil earthworms in oil and pour into the ear on the side where there is pain (Pliny, 77 AD). Pour juice of onions by drops into the mouth, bite a piece of wood struck by lightning (ibid.). Put tobacco in the armpit; hold a heated root of a birch on the cheek; or hold a small frog against the cheek or lick a toad's abdomen (Norwegian folklore). Lay roasted parings of turnips, as hot as they may be, behind the ear; keep the feet in warm water, and rub them well with bran, just before bedtime (John Wesley, 1747). "Round the tooth to be drawn, he fastened a strong piece of catgut; to its other end he affixed a bullet. Then he charged a pistol with this bullet and a full measure of powder. The firing performed a speedy and effectual removal of the offending tooth" (Dr. Monsey, 1788). In the US and Europe, the blacksmith did extractions, presumably because they had the "proper tools." "If one had a tooth extracted, it must be burned, because, if a dog got it and swallowed it, one would have a dog's tooth come in its place" (Dr. Holmes, 1862). To clean the teeth, rub them with the ashes of burnt bread (Poor Will's Almanack, 1780). To stable and steadfast the teeth, and to keep the gummes in good case, it shall be very good every day in the morning to wash well the mouth with red wine (London, 1598). In parts of England, the superstition persists: one prevents a toothache by "clothing one's right leg prior to the left" (G.P. Foley, 1972). To make the teeth of children grow hastily, take the brain of a hen and rub the gums therewith. It shall make them grow without any sorrow or diseases or aching (London, 1934). Roast the brains of a rabbit and rub a small amount on the gums (US, 1942). Dental Health: Boosting Tooth Brushing Power For Pre-Schoolers!